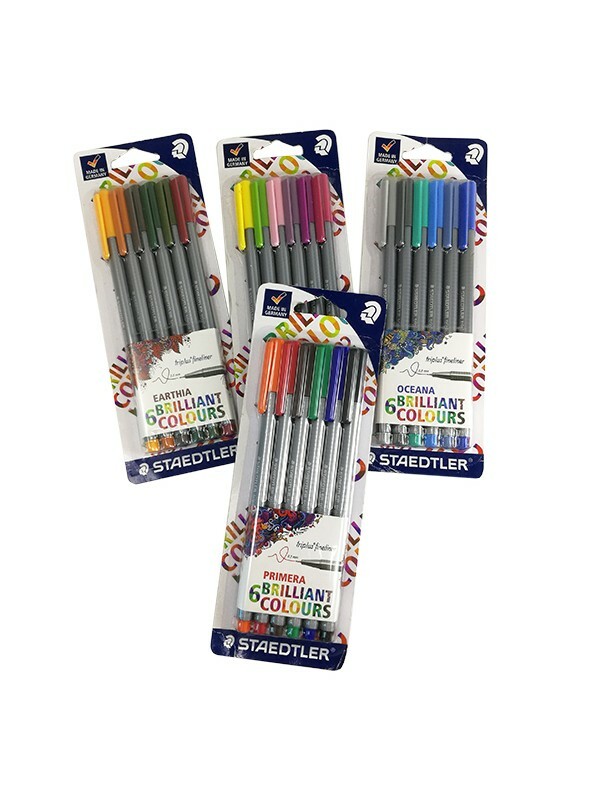 * Set of 6 Staedtler's triplus 334 Fineliners with superfine, metal-clad tip. 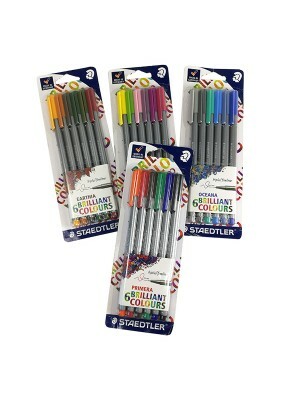 * Ergonomic triangular shape for relaxed and easy writing. * DRY SAFE - can be left uncapped for days without drying up. * Water-based ink and washes out of many textiles. * Line width approx. 0.3mm.